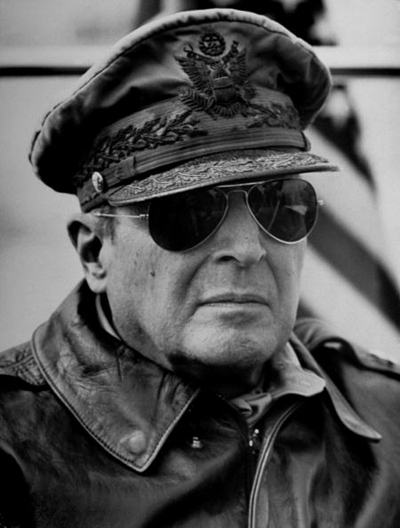 [September 15, 2013] As part of this blog’s profiles in senior executive leadership, the first great leader will be an obvious choice: General Douglas MacArthur. He was a great thundering paradox of a man, noble, and ignoble, inspiring and outrageous, arrogant and shy, the best of men and the worst of men, the most protean, most ridiculous, and most sublime. No more baffling, exasperating soldier ever wore a uniform. Flamboyant, imperious, and apocalyptic, he carried the plumage of a flamingo, could not acknowledge errors, and tried to cover up his mistakes with sly, childish tricks. Yet he was also endowed with great personal charm, a will of iron, and a soaring intellect. Unquestionably he was the most gifted man-at-arms this nation has produced. There is no doubt that General MacArthur was one of the greatest senior leaders who lived in the United States, military or civilian. What made him triumphant in his military victories and successful off the battlefield, showed him also to be a complex man who could show all the characteristics of great leadership and yet on occasion display contradictions to them. There are hundreds of books and articles in many languages written about him. Some of the common themes found in them follow a familiar pattern. They all found that General MacArthur was an intense thinker and intellectual, capable of building trust and confidence in others, a visionary, mission focused, culturally aware, developer of grand strategies, displayed extraordinary courage, and played by the rules (except for a few extraordinary times). Certainly these are attributes of senior executive leaders. One interesting contradiction was his inconsistency on the characteristic of humility. General MacArthur was not known for his humbleness. He was arrogant and pompous but he could also be charming and modest. Arrogance is a stereotypical feature of senior leaders and not a trait that is necessarily positive. But General MacArthur’s other attributes certainly outweighed any negatives. Undoubtedly, one of the most successful senior leaders of our time. William Manchester. American Ceasar: Douglas MacArthur 1880-1964, Back Bay Books/Little, Brown and Company, New York, NY. 1978.